LINCOLN PARK — It all started five years ago when they met at Ravens, their local watering hole. 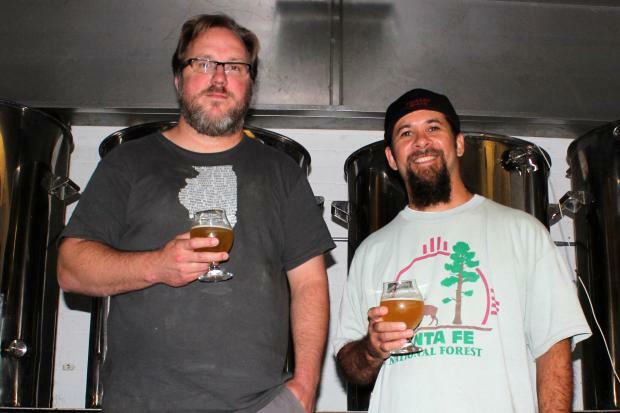 Clint Bautz and Lynn Ford were both home-brewers, and countless nights discussing tips and techniques amid a shaky economy led to the creation of Lake Effect Brewing. "I was making beer to cope with my architecture job," Bautz, a 38-year-old Lincoln Park resident said. Bautz's home-brew enterprise had nearly taken over his Lincoln Park home, and his beers had attracted a following at neighborhood gatherings. During the economic downturn, he watched as his co-workers at a large Downtown architecture firm were laid off and figured the time was ripe to break off. "You are never really secure in anything you do, might as well take control over your situation," Bautz said. "I did not want to do architecture. I wanted to do something fun." Bautz and Ford, who is a software engineer by trade, spent two years hammering out a business plan and opened their brewery in a back-alley warehouse 16 months ago. "We recognized there was an opportunity. We researched our butts off on the business plan, and we went for it," Ford said. 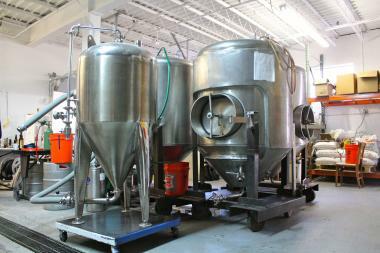 The brewery is housed in a 1,500-square-foot space in Portage Park, and although it's only been producing beer for about 10 months, it's pumping out 25 barrels a month. The owners didn't want to have a huge operation, but demand might be pushing them to expand quicker than they anticipated. Their beers are in 32 bars and restaurants in the city, including Ravens, where the idea was born, and in another eight spots in the suburbs. "We didn't want to have a huge operation. We just wanted to make small-batch high-quality beers for the local neighborhood," Bautz, the head brewer, said. The brewery is at production capacity and can't take on any new customers, but Bautz and Ford are considering opening a tap room in the 1,000-square-foot space next door. The two originally hoped to open the brewery in Lincoln Park, but struggled to find a space that met requirements for zoning. They settled in Portage Park at 4727 W. Montrose Ave. It's a very do-it-yourself effort, down to the individual bottling of the beers. Ford, who manages distribution for Lake Effect, created a bottling device about a month ago, and the brewery already has two bottles in about 20 liquor stores. "Some breweries spend tens of thousands of dollars on them," Bautz said. "I think we spent $300 on ours." Most of the recipes are brews that Bautz had perfected in his home over the last 10 years. "Some are experimental, where you will make a nice beer then take the ingredients and techniques from that beer and you can apply it to another beer," he said. The top two beers on draft are their Lake Effect Snow, a witbier, and their Kuhler See, which means "cool lake" in German. The hops are from Michigan, the malt from Wisconsin and the water from Lake Michigan. "You put the ingredients together, and they are products of the lake," Bautz said. Bautz said he hopes to open the tap room where they will be able to offer tastings and sell bottles on site by the end of the year. The two-man operation frequently collaborates with other breweries, chefs at restaurants and even with local coffee shops. Right now, there are plans in the works with Regulus Coffee House on an espresso milk stout that will incorporate a coffee extraction. "We love doing that because we come through with a beer we would have never thought of doing," Bautz said. To keep with the do-it-yourself theme, Lake Effect brewers are growing their owns hops up the side of the brick building, and they even feed their landlord's chickens with their spent grain. "We are still a little hole-in-the-wall place," Ford said.